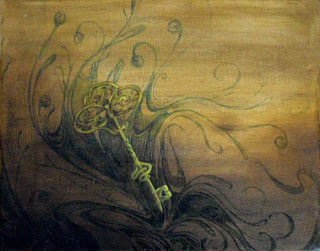 My first small swirl study, 'The Key to Life', started me down the path that I currently walk. It is good to look at where you started to better put into perspective where you are headed. It shows my beginning fasination with hidden meanings, and the deeper history of symbols.